The life of a chef involves experiencing new things on a daily basis; whether it's a new recipe or flavour, a visit to a different restaurant or even a completely different country where I can enjoy cultural explorations that broaden my mind through culinary journeys. I've just come back from my annual sabbatical, this year visiting Turkey and enjoying the sights, sounds, and more importantly the flavours of a fascinating country with a rich and intense cultural history which is perfectly matched by the depth and variety of its cuisine. However the next week and a half will see me experience "firsts" that are out of my traditional comfort zone, in that they don't involve food, restaurants, or travelling, although one of them IS based upon my experiences as an entrepreneur and business owner. This Thursday, Oct. 9, I will be taking part in a Reddit AMA -- which is something I'd recently read about. For those who (like me until a few weeks back) don't know what that is, Reddit is a website that posts and shares information, questions and answers and is visited by millions around the world every day. The AMA part means "Ask Me Anything" so I will be nervously sitting by my computer on Thursday afternoon at 3 p.m. PST, answering questions from anyone anywhere, who wants to, well, ask me anything! 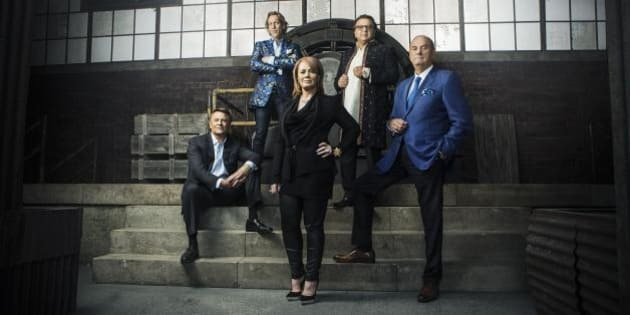 On Oct. 15, I make my debut on CBC's Dragons' Den as one of two new members of the Dragons team. I'm very proud to be included in such an incredibly illustrious line-up of respected business people and to take my place alongside them on such a great show. Personally it's also a real honour to be the first Indian Dragon on the show. As someone who is very proud of my roots, it is a very big deal for me. Indian immigrants have made important investments in this country, both financially and by choosing to raise their families here, so it's fantastic to be represented on a show with such a wide-reaching audience to let everyone know that Indian businesses are so vital and so important to Canada as a whole. These two new adventures are so different from everything else I've done so far this year: I've opened up a brand new restaurant (My Shanti in South Surrey), and I'm in the middle of a major renovation for what will become home to our new Vij's restaurant in Vancouver. Those projects are where I find my own personal peace, despite the fact it may seem like chaos all around me -- in fact My Shanti actually means "my peace." I'm looking forward to speaking with people across the country and hopefully further afield later this week on Reddit and also to working with the businesses I've chosen to invest in as part of my Dragons' Den journey. I feel very honoured to be doing both of these things.